Saute ham, shallot and garlic in butter. Add artichokes; heat through. Sprinkle with Parmesan cheese and olives. 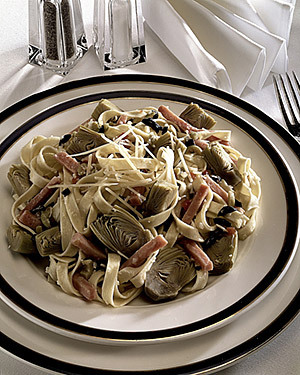 *For preparation of baby artichokes see the directions and photos under Basic Preparation. 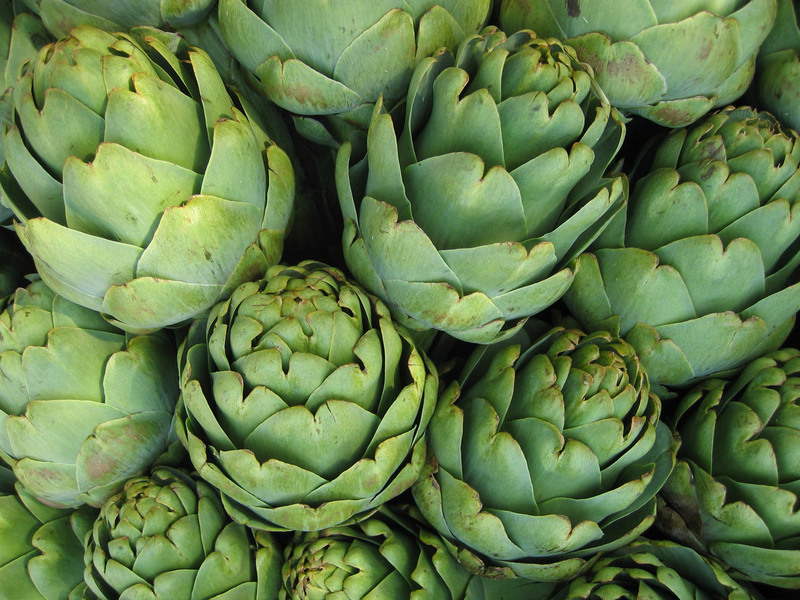 You will need about 2 pounds of chokes, approximately 20-24 artichokes. After trimming to hearts, cook in boiling water, flavored with lemon juice & garlic until just tender. Let the chokes cool; cut in half or quarters.